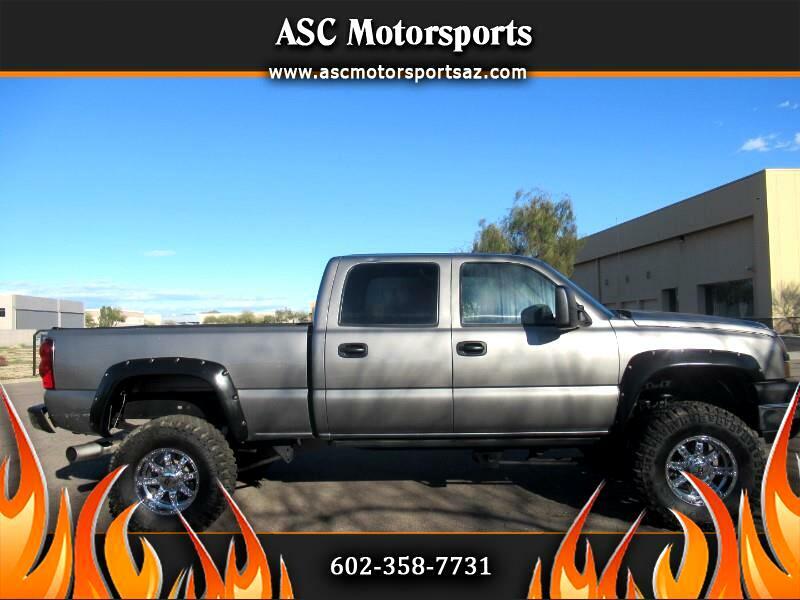 2006 Chevrolet 2500 crewcab 4x4 lifted diesel!!! Beautiful Pewter exterior and gray leather interior, 4 wheel drive 121k miles, ice cold front and rear a/c power windows, power locks, power steering, dual power seats, cruise control, tilt wheel, AM/FM,CD, DVD player, power running boards, tow package, tinted windows, power mirrors, spray in bed liner, 18" XD series wheels and 37" Mickey Thompson tires, heated seats, bose sound system, pioneer touch screen stereo and more! Priced at only $24,888 + Tax, Title and Doc. Fees!! !